Nothing will be harder on the Massachusetts hockey team than having to watch the Hockey East tournament. 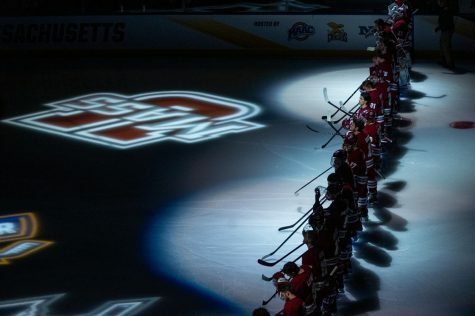 The Minutemen (12-19-3, 9-16-2 HEA) failed to qualify for the postseason for the first time since 2002 after finishing two points behind Maine for the eighth and final playoff spot, ending their season with a 3-0 win over Merrimack on Saturday. “Sitting out right now and having to watch other teams play is something that’s gonna be tough,” junior forward Conor Sheary said. 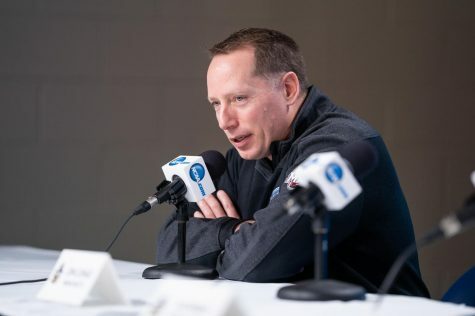 UMass was in the driver’s seat for the final spot for most of the season, but stumbled down the stretch, failing to grab wins in eight of its final 10 games, including a costly five-game losing streak. But that was just the type of season it was for the Minutemen. Whenever they appeared to be in a comfortable position to win, late-game letdowns cost them crucial points. 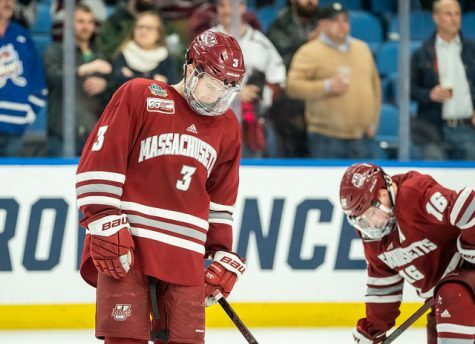 UMass struggled to hold leads all season long, and six times failed to win despite being up in the third period. 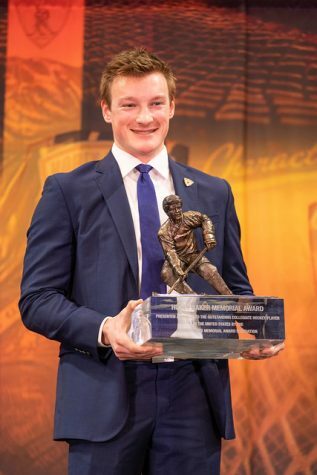 Among those was a 5-4 overtime loss to Boston College at home on Oct. 19 despite a 3-0 third period lead, and a 2-2 tie at New Hampshire on March 1 after allowing the game-tying goal with 3.7 seconds left. 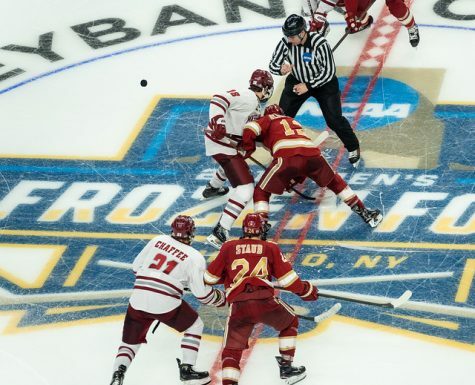 The Minutemen won’t have to worry about missing the playoffs anytime soon, however, as the addition of Notre Dame to Hockey East next year will bring a change in the playoff format where every team will get an automatic bid. But they’ll still be driven by this year’s missed opportunities. 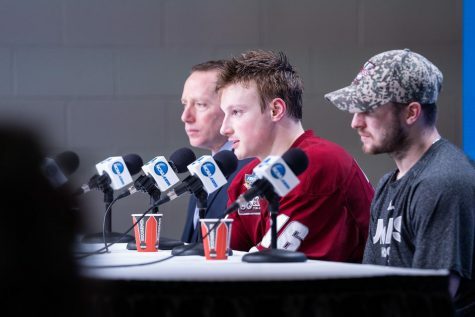 UMass was hurt by inconsistencies all season long. 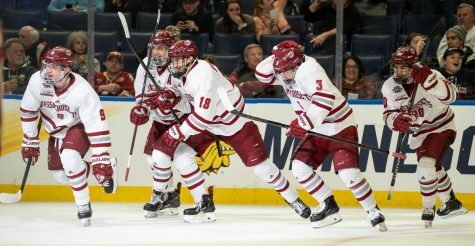 It went through strong stretches highlighted by big wins over BC, UNH and Boston University, and even won the Ledyard National Bank Classic on New Year’s Eve with a 3-2 win over Dartmouth. But there were also obvious struggles. The Minutemen endured losing streaks of three games or more three times this season, and lost two of three to last-place Northeastern. 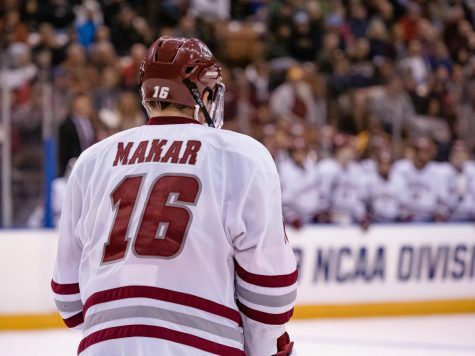 UMass will need to be more consistent on a weekly basis to succeed next season, especially playing in a conference with the amount of parity that Hockey East has. Sheary was part of a dynamic trio consisting of him, Branden Gracel and Michael Pereira on the first line. They accounted for more than half of the Minutemen’s point total this year, and will be called upon to do the same in 2013-14. 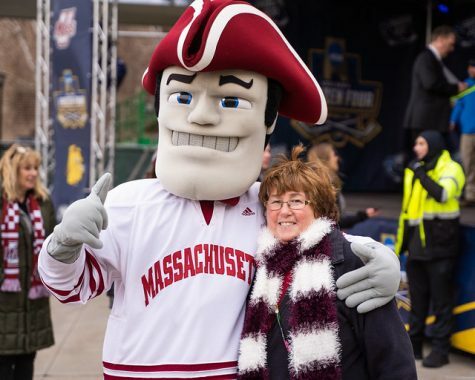 But UMass will still need contributions from other areas, as the lack of balance hurt the Minutemen on most nights. There was similar uncertainty in goal, as neither Steve Mastalerz or Kevin Boyle could stay consistent long enough to lock down the No. 1 job. Mastalerz started the last five games and was solid, while Boyle spent the final weekend injured. Mastalerz’s strong play down the stretch could make him the front-runner as the season-opening starter next year. Injuries were also a factor for UMass. It lost Troy Power for the season with a knee injury on Nov. 30, and was without Pereira for a pivotal final weekend. The adversity and the inconsistency made for a difficult situation for Micheletto to deal with in his first year as head coach. 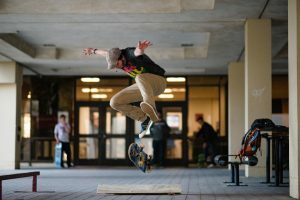 But he chalked it up as a learning experience for himself and the program moving forward. 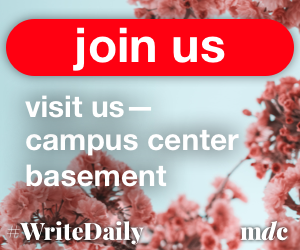 Nick Canelas can be reached at [email protected] and followed on Twitter @NickCanelas.